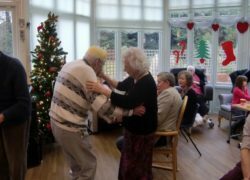 On Saturday 20th December Tupwood Gate Nursing Home held its annual Christmas party for residents and their relatives. It turned out to be Tupwood's biggest Christmas party yet. 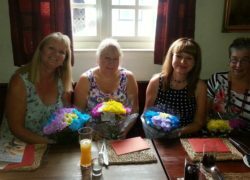 Four members of staff from Tabley House Nursing Home were recently treated to a lunch to celebrate their long service with the nursing home.